Constructed from high-quality grade 304 stainless steel with a stain finish. 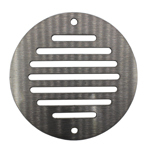 Round metal louvred ventilation grille is perfect for use as an air intake vent or extract point. 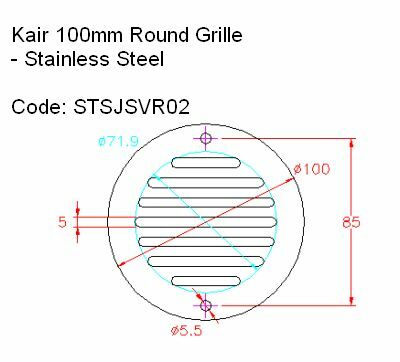 Compatible with the Kair System 100 (SYS-100) range of 100mm / 4 inch round metal and plastic ducting. System 100 (100mm round) aesthetically pleasing modern stainless steel grille with satin finish for use with ventilation systems, as a door vent, or other applications. 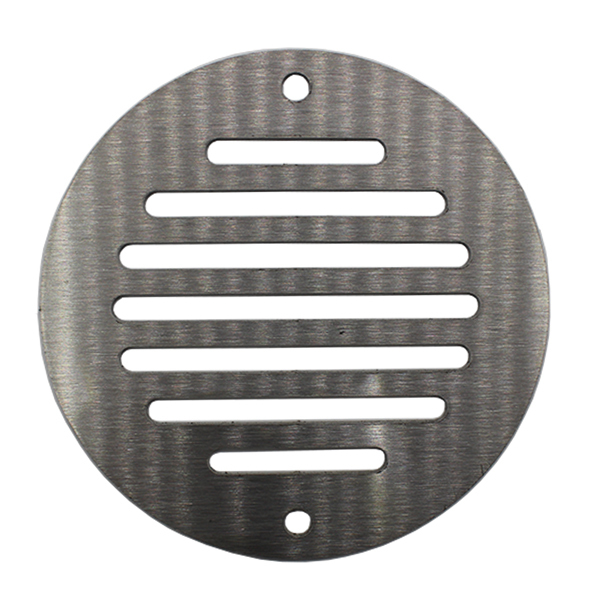 Constructed from high-quality grade 304 stainless steel with a stain finish. Please note: Some dimensions on this website may vary slightly from actual product suppleid due to changes made by the manufacturer. We recommend you do not drill any fixing holes, or prepare the installation area in any way prior to size confirmation by us, or receipt of the product. Please contact us prior to placing your order to confirm. Can this just be mounted on wall over the vent hole? I'm no expert but can this just be mounted on an external wall over the vent hole? Or does it need to be connected to the ducting? Eg, I will have an extractor fan in the bathroom with some ducting leading out through a hole in the wall. Can I simply screw this grille over the hole on the outside wall? Hi, can i use this item as passive ventilation to sub floor area to allow fresh air in to the sub floor area? What size floor area would 1 of these cover? We probably wouldn't recommend this product for low level installation as the vents are 4mm deep and there is no insect mesh. Efficient, passive, sub floor ventilation relies on a cross flow of air through the strategic location of vents, if you type Fly Mesh into the search bar various passive vent options will appear.